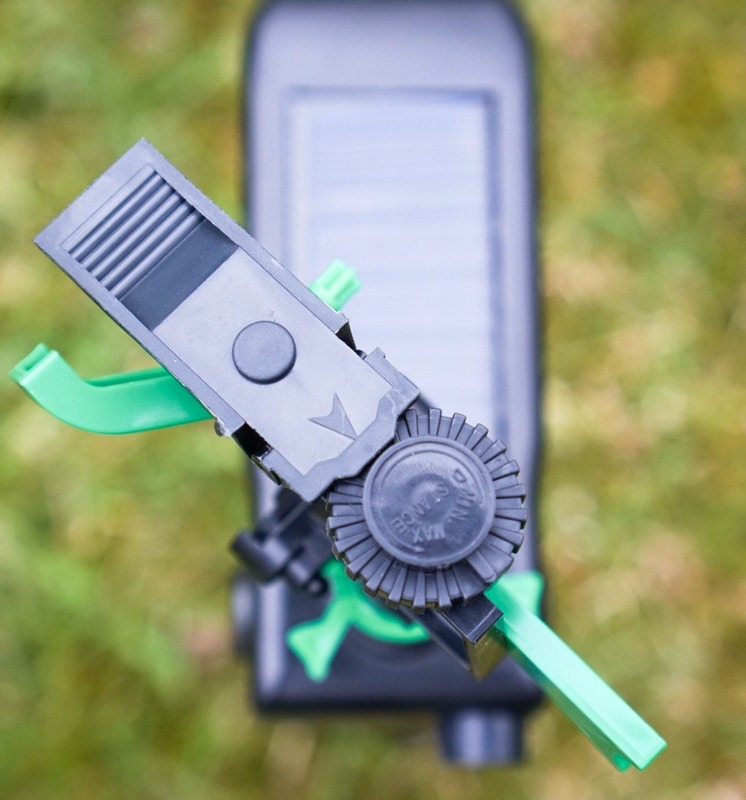 Solar Power Water Bird Repellent Deterrent Sprinkler protects gardens, landscaped areas and yards from deer, rabbits, birds and other animal intruders. Startles pests with sound and startling-but-harmless burst of water, teaching them to avoid protected area in the future. 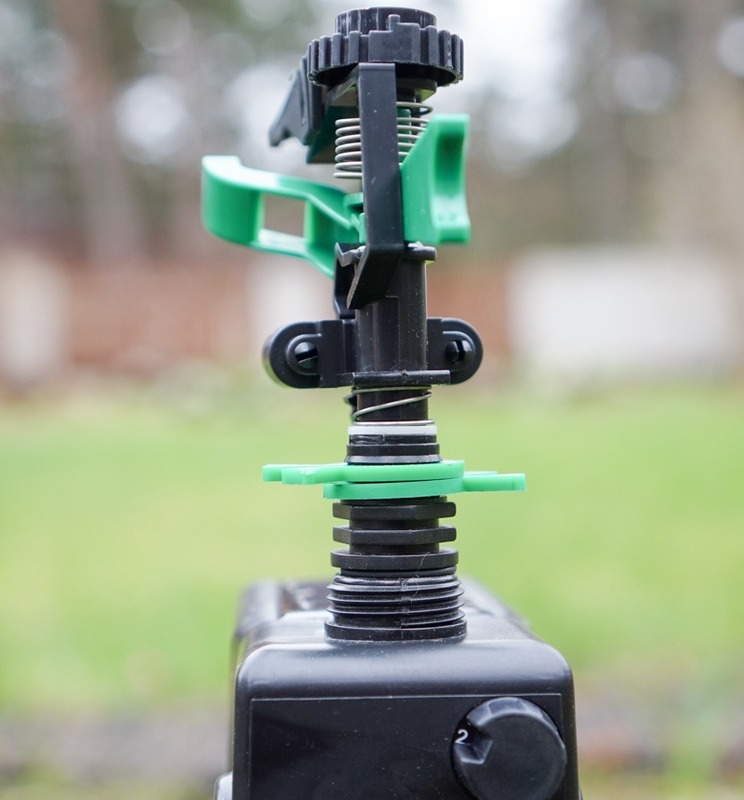 Sprinkler Deterrent reacts to motion, spinkrel burts water for 4 seconds. Protects 1,200 sq. ft. day and night – powered by a single 9-volt battery for up to 6 months. 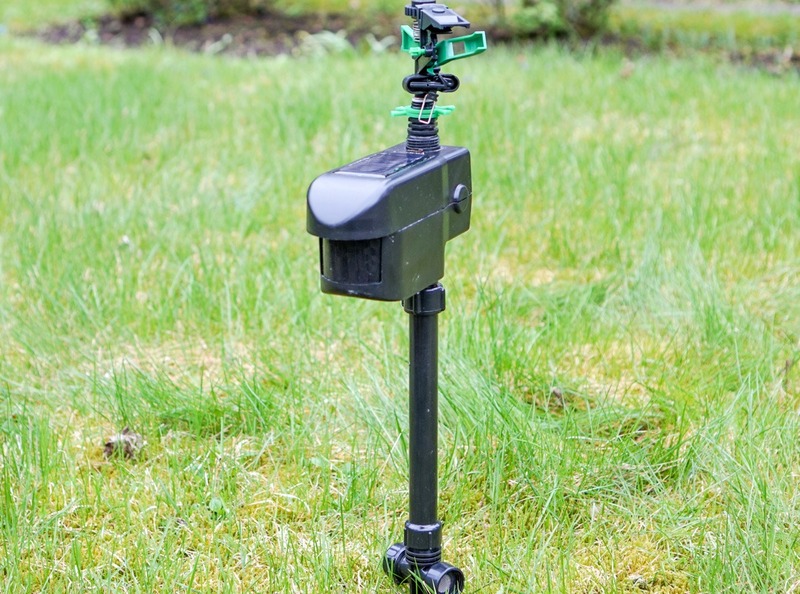 Motion detector works in 90 degree angle, sprinkling range is up to 10m. 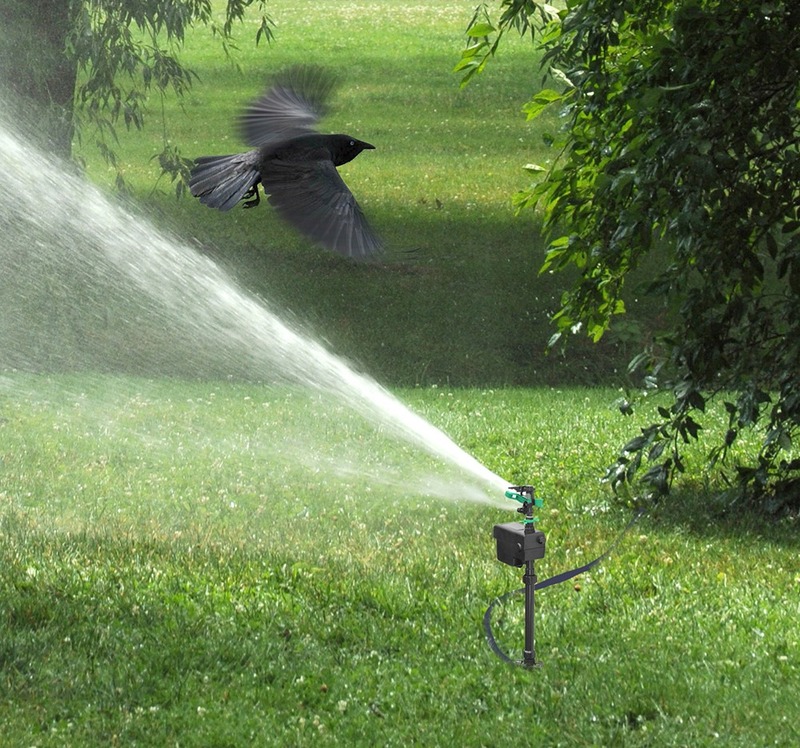 If working area is larger than 10m, several bird sprinklers should be connected in order to cover the whole area. Please refer user manual attached below for instructions and troubleshooting steps. 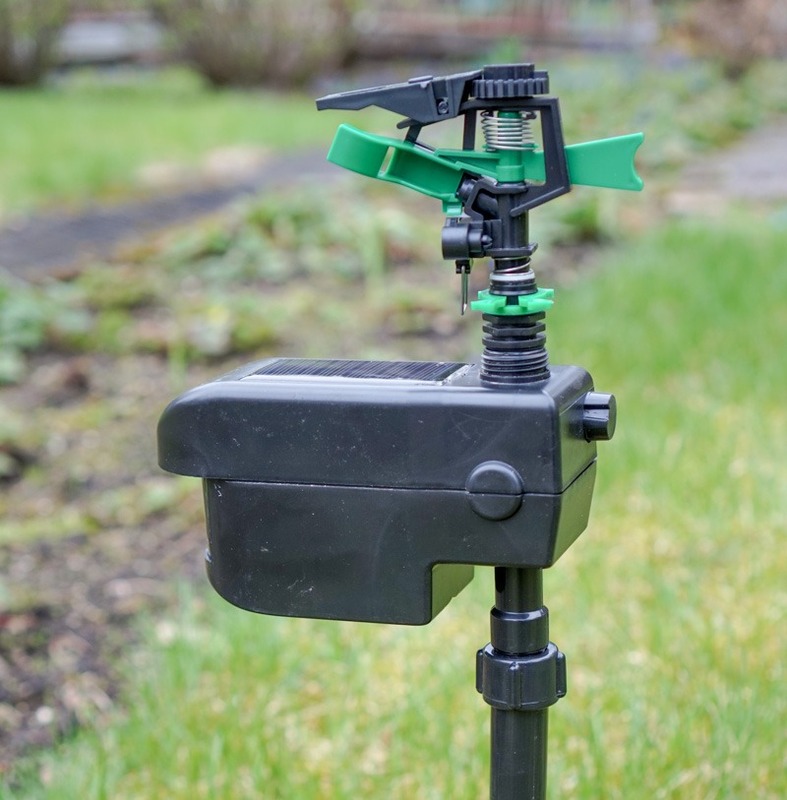 Stake Instructions: The two stakes will only fit together one way; with hose attachment facing downward, connect to the top of the pointed stake; which is then inserted into the ground.